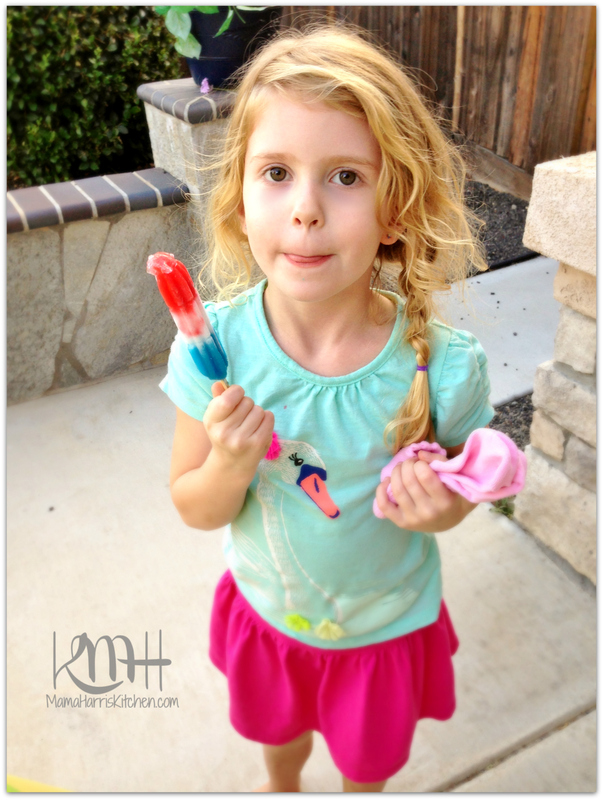 We had a spur of the moment party, and Popsicle‘s were the star of the show! We’ve been planning to have a yard sale tomorrow, to clear things out so we can get a bit more organized. Kind of an “end of summer cleaning”, RiRi’s friend was visiting and helped us sort through our things while D-Man was having fun playing with his friends from next door outside. This is when I had a great idea! 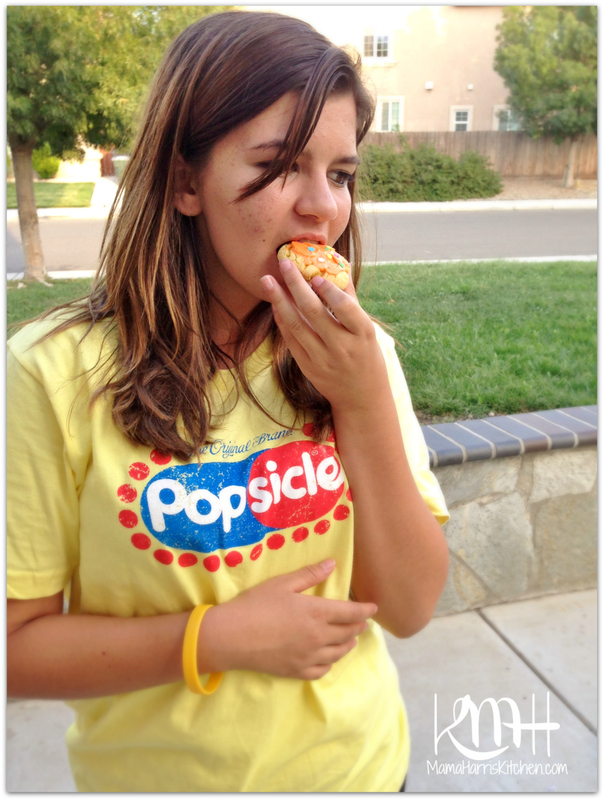 You may remember I’m a Blog Ambassador for Popsicle®, and we’ve made so many fun memories this summer. We’ve been calling it our “Summer of Popsicle‘s” because so many of our fun moments these past few months had Popsicle® included, so what better way to end our summer than with a fun send off with Popsicle®!? 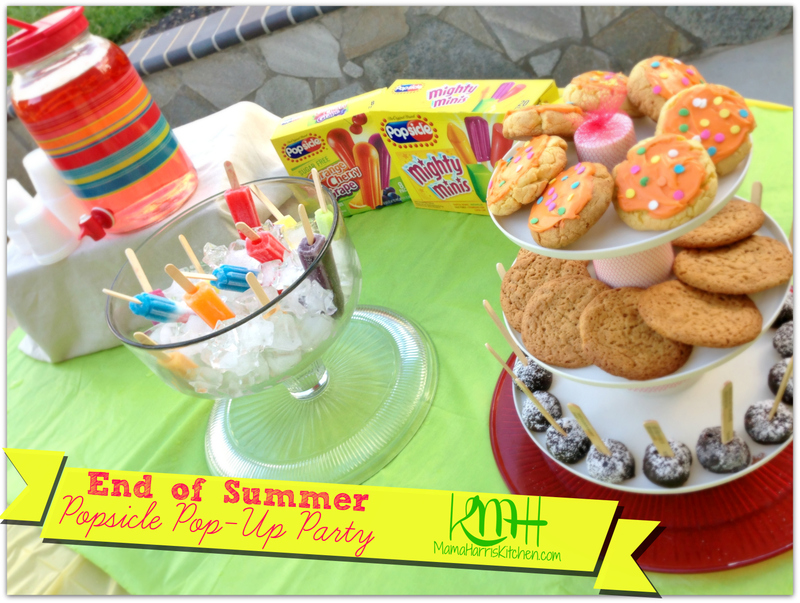 I whipped up some goodies to serve with our assortment of Popsicle’s and let the kids enjoy. They had so much fun! 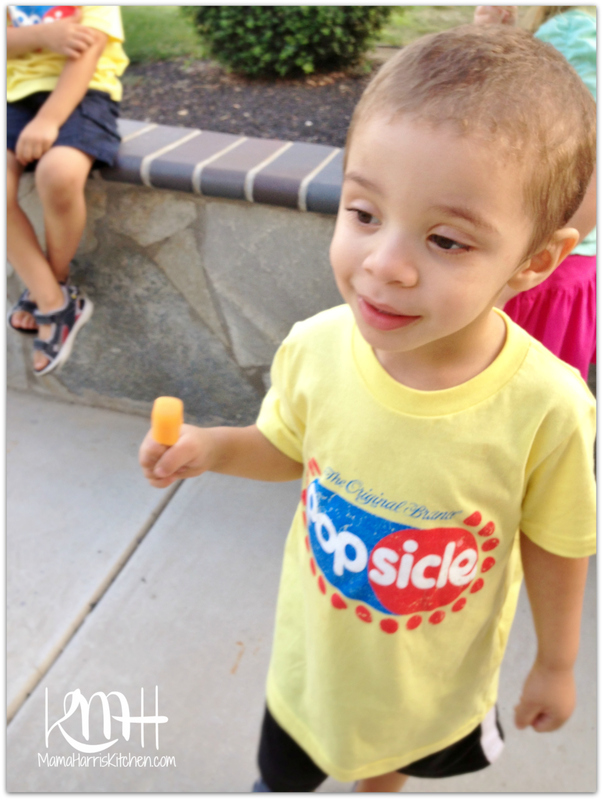 What’s better for a Pop-Up Party than Popsicle‘s? We served them in a punch bowl with a bunch of ice so all the little hands could just pick and choose what they wanted. They loved it! I also made some brownies, rolled them up in little ball and sprinkled them with some powdered sugar. 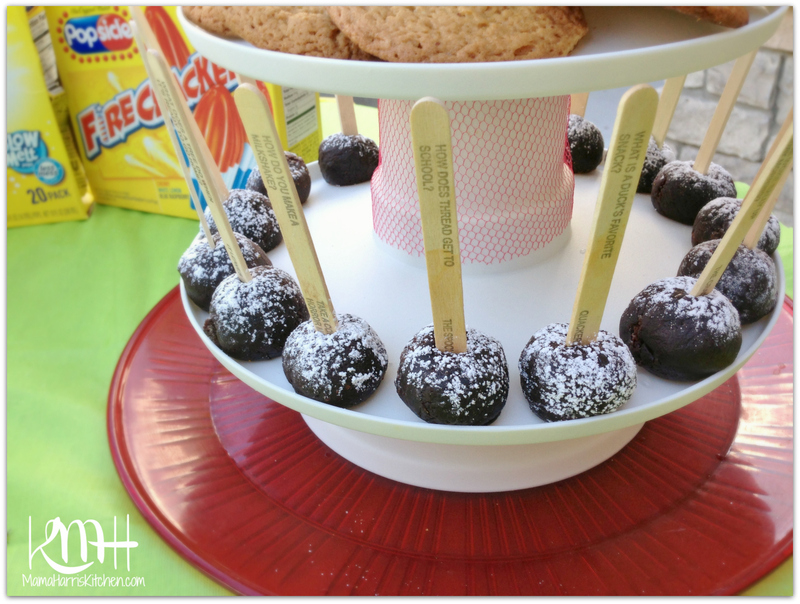 Just stick a Popsicle® stick in them and you have an instant favorite snack! The kids thought these were so fun! 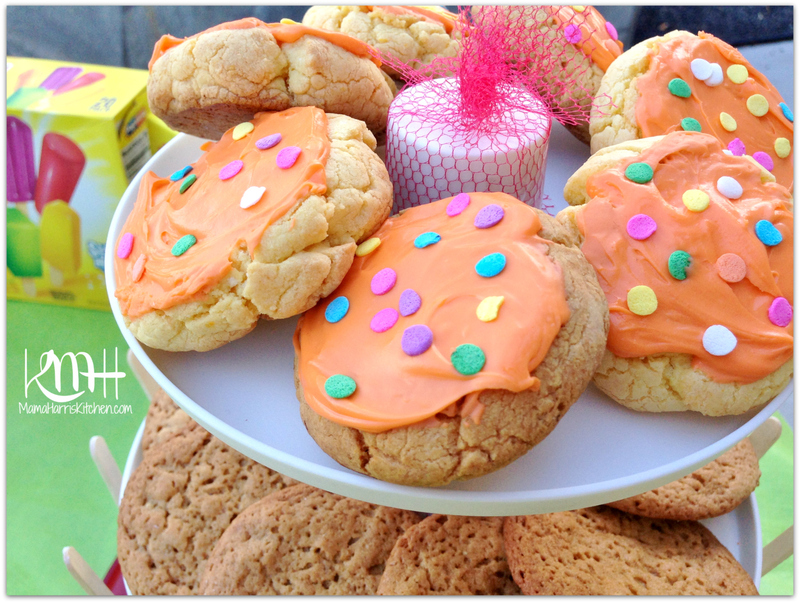 Next up was some lemon cake batter cookies, complete with orange frosting and fun, colorful sprinkles. 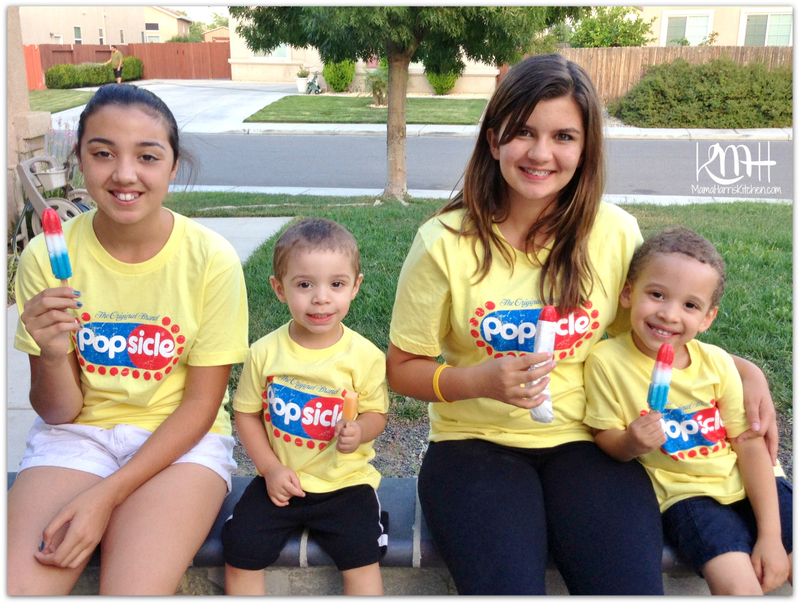 Each of the kids went directly for the Popsicle® flavor of their choice right away! Our neighbors daughter grabbed her favorite too! 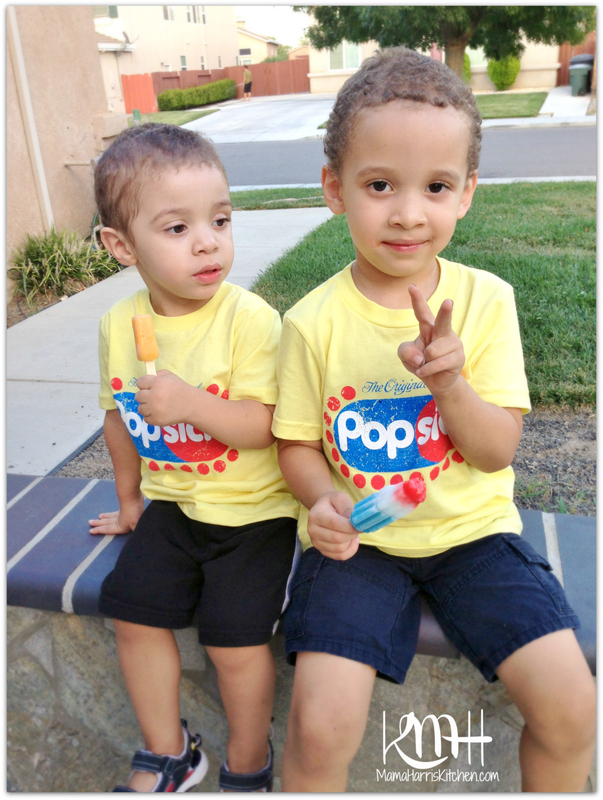 Looks like the Firecracker® Popsicle‘s were everyone’s favorite! 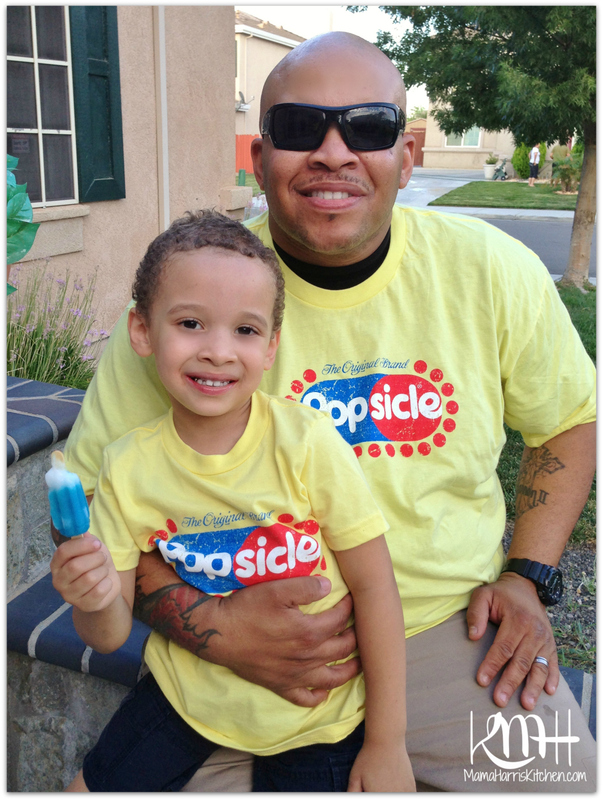 D-Man and I hanging out together, enjoying our Popsicle‘s. I love the YoSicle‘s! 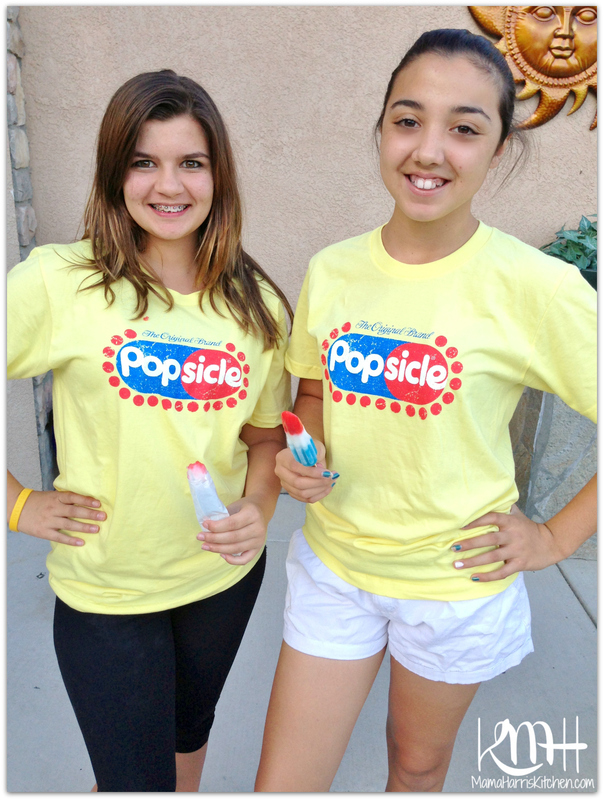 The girls having a blast in their stylish shirts and yummy Popsicle‘s! 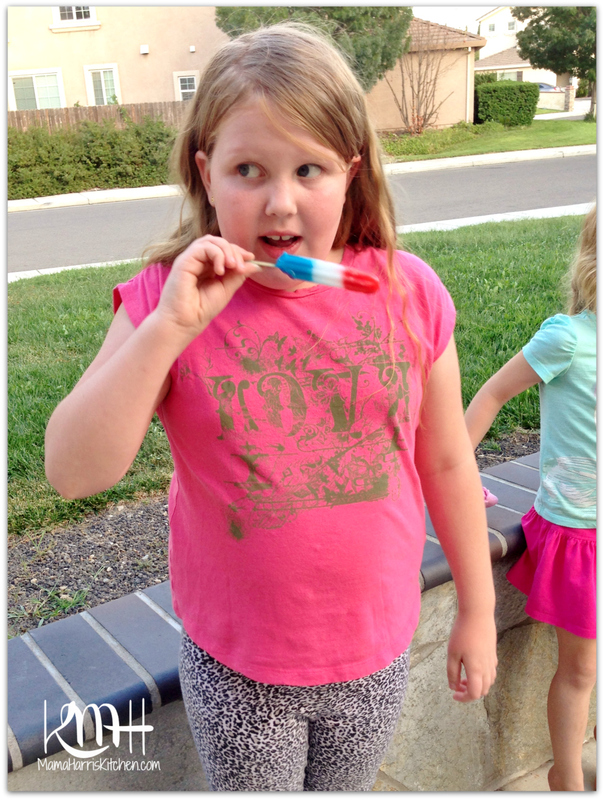 Another of our neighbors’ daughters enjoying her Popsicle®. RiRi’s friend enjoying a cake batter cookie after finishing off her Popsicle®. D-Man and Daddy hanging out and having fun. 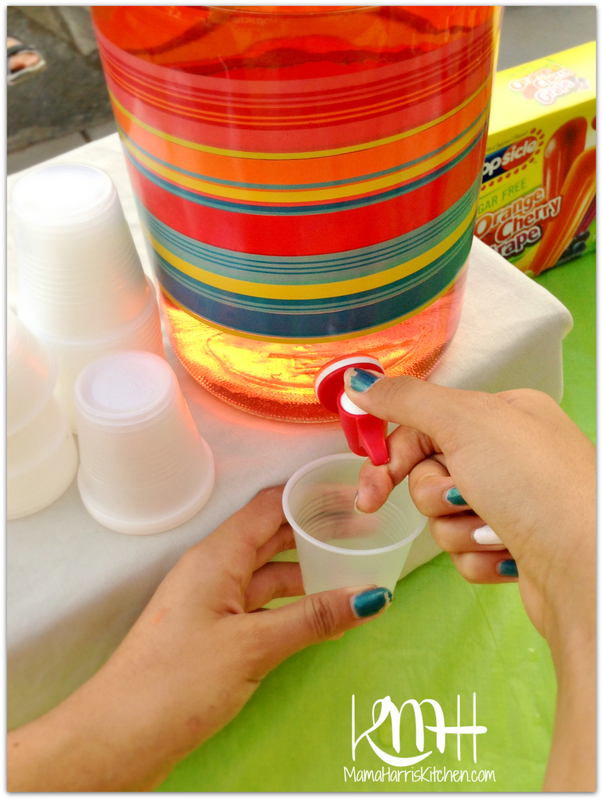 The cherry punch was a perfect finish with the miniature cups that were just the right size for the kids. These boys are each others shadows. Attached at the hip! RoRo loves his Mighty Minis ( I love the slow melt) and D-Man loves the Firecrackers! RiRi grabbing a cookie too. 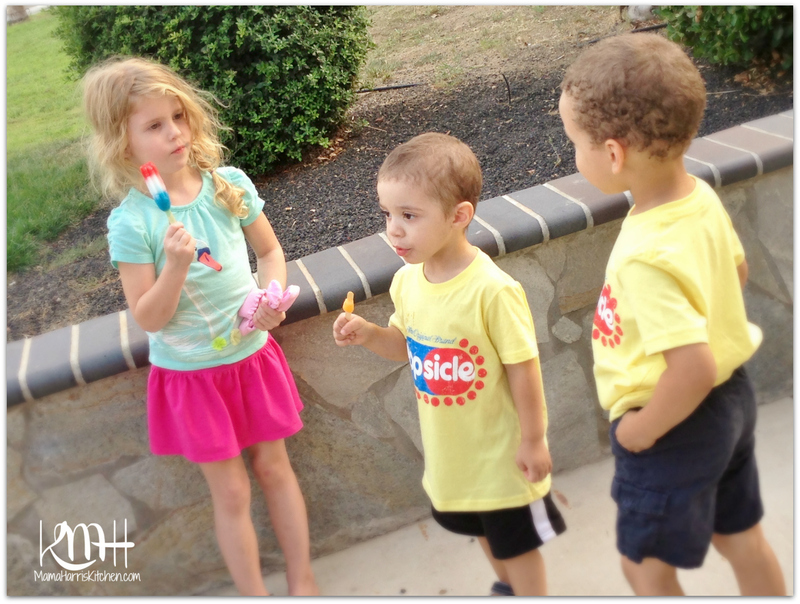 Too cute watching them interact, they were having a great conversation about which Popsicle® flavor is their favorite! RoRo had so much fun! 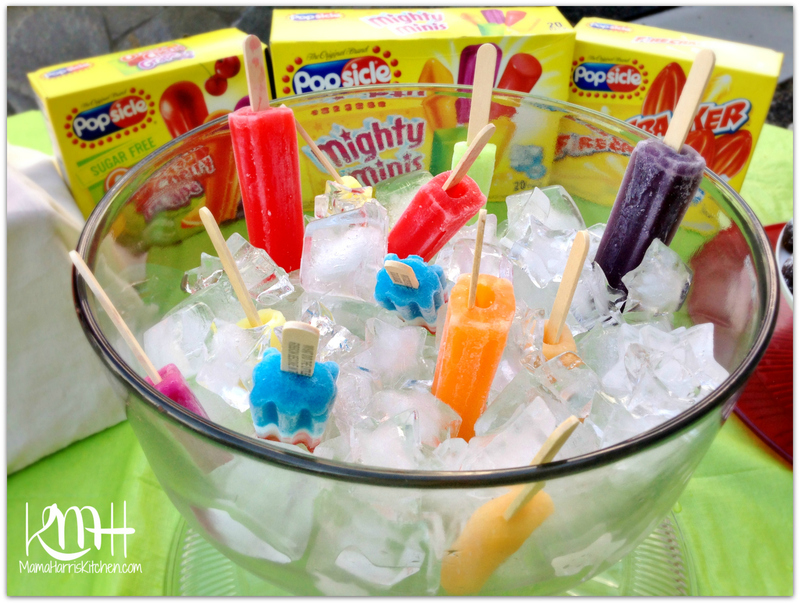 Do you want to plan your own Popsicle® Pop-Up Party? 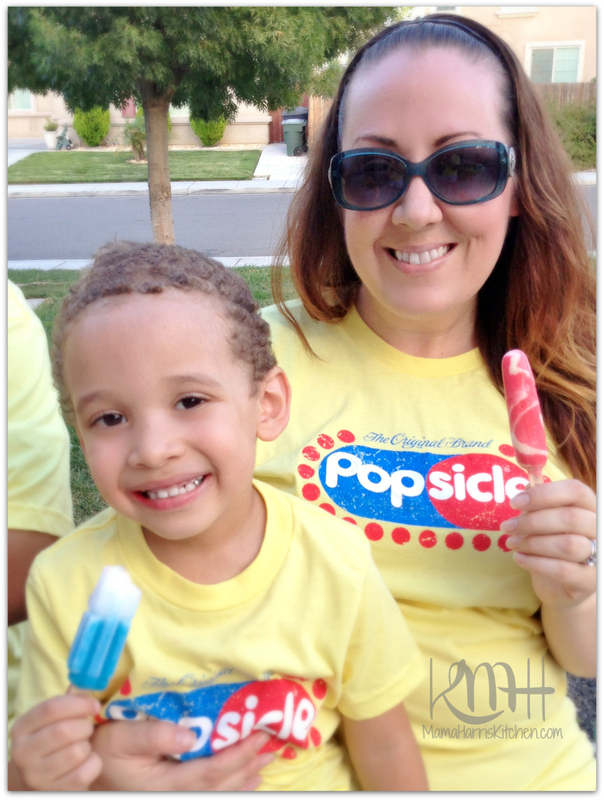 Popsicle® has partnered with Brooke Peterson, a lifestyle and entertaining expert that has been giving wonderful tips and fun ideas for how to plan fun Popsicle® parties nationwide! Check out the Popsicle® Facebook page, and follow along all their fun they had over the summer with their Popsicle® Pop-Up Party tour! Join the conversation! 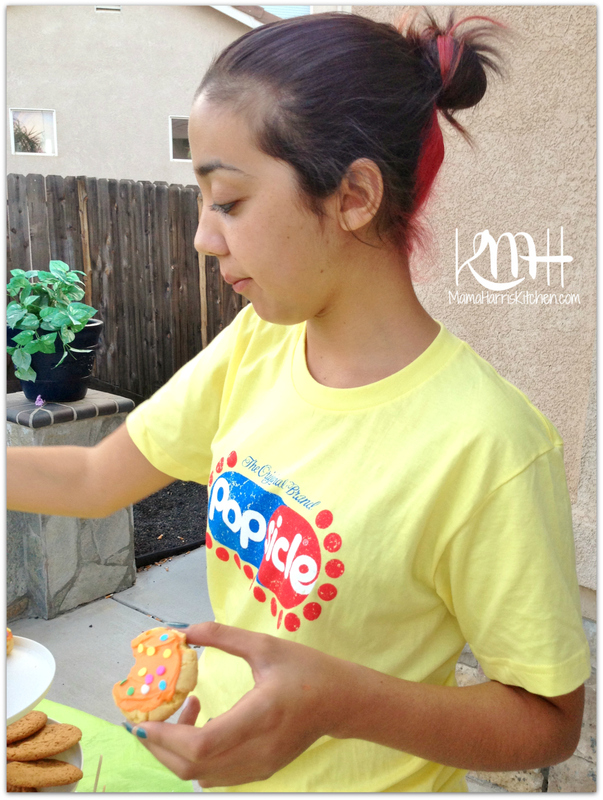 I also have a fun giveaway that includes Popsicle® product coupons and a $25 Target gift card to help you plan your very own Popsicle® Pop-Up Party! Good luck! I would serve cherry and grape flavor. I would serve cherry and orange. I would serve grape and cherry flavored ones. I would serve grape and orange. I would serve cherry and grape! Grape & Cherry – my favorites! I’d serve root beer & orange – thank you. I would serve grape and cherry! I’d server orange and grape, my two favorite flavors. Thanks. I would serve the firecrackers with the red white and blue!!! Carter LOVES those! I would have grape, cherry, and orange.